SPORAH TV: SPORAH MEETS TRUE RASTAFARIANS..! Rastafari is a young, Africa-centred religion which developed in Jamaica in the 1930s, following the coronation of Haile Selassie I as King of Ethiopia in 1930. Rastafarians believe Haile Selassie is God and that he will return to Africa members of the black community who are living in exile as the result of colonisation and the slave trade. Rastafari theology developed from the ideas ofMarcus Garvey, a political activist who wanted to improve the status of fellow blacks. Why do most Rastafarians cover their hair..! Can i take off your hat my brother? I do cover my hair to keep it clean Sister Sporah. There are many pollutants in the air…hair does get quite dirty being exposed Sporah..
You see my hair, Nice and Clean. Aww..! and very soft, i like it. Can i see your dreadlocks Ja Youth Please? Not today Sporah, Mine are sooo long and remember I AM JA YOUTH. Can i have my hat back Sporah? Hold on guys, Rastafarians and Head Covering is it a religious requirement for all Rastafarias to keep their heads covered at all times while in public? Seems to be more of a tradition/option rather than religious law but you get different stories from different sites. Sporah Meet Atumpan from West Africa. Atumpan: The Talking Drums of Ghana, his the most famous Reggae artists from West Africa, his #1 smash hit "‘THE THING’" is a defining song of the decade. Atumpan is also a teacher by profession currently pursuing higher studies at University of Education, Winneba reading a Bachelor of Arts program in Linguistics, majoring in English. Atumpan All the way from Ghana, Introducing his hit single "THE THING" On The Sporah Show. All i wanted to know was, what is that "THE THING" His teaching a small girl???? 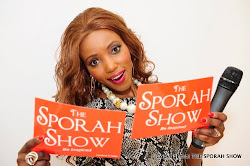 Find Out What "THE THING" Mean On THE SPORAH SHOW this Monday 10:30pm on BEN TV SKY 184. Him telling The Sporah Show how he become a Restafarian and what drew his attention to Reggae Music. OKAY and how is it like to walk on the streets of Ghana with his dreadlocks as a professional teacher? All On The Sporah Show This Monday 10:30pm on SKY 184. ITS A SHOW NOT TO BE MISSED..! STAY TUNED THIS MONDAY 10:30PM ON BEN TV SKY 184. ENJOY "THE THING " BY ATUMPAN. For real though, does anyone know﻿ the thing, I'm a small girl. small girl﻿ you dun no the ting!!! i swear this song makes me laugh everytime i hear it! I Love it! kwasiahhh...... this be music....ahhh... so this﻿ be how u neggas wan go international??........ u dae craze waaa....... sombro too say "u are talented".... funny waaa..... y'all need to get ya mind right and step up ya game.. I also really wanna know who are the true rastafarians ? rastas usually claim to look for their Zion, and they say thier Zion is Africa, especially Ethiopia. Now , How many of those who claim to be "rastas" have even been to Africa, or even think to go there just for visit ? How many rasta's singers go do their show in Africa ? None of dem is returned to Africa. And even Marcus Garvey who said " Back to Africa " and Bob Marley who sang for the "rapatriation", none of dem has gone back to Africa. It's very easy to claim that one loves Africa, it's very easy to claim ones african roots, it's very easy to wear Gree-yellow-red, it's very easy to have dread locks and all the rasta's style and fashions, but where are the acts ? I'm not rasta, but i'm of those who think that one can only demonstrates the walking while walking, therefore i have the feeling that nowadays rasta's culture is much more a style (music, ganja, words) than a true conviction. And in this way, it's not too different from Hip-hop culture. For me, the true rastas (who have the faith in their beliefs) are not in Jamaica, they are already in Africa, especially in Ethiopia and for ages, they live in the Town called Sashamane, they have had the courage to join the acts to the words. For more informations about them, check the link at the bottom. who of those self-proclamed "rastas" could cross the step for Africa ? THE REAL RASTAFARIANS ARE THE ONES WHO NEVER FORGET THAT THEY ARE AFRICAN, AND SO OBVIOUSLY BELONG TO AFRICA. ha ha ha i can see students playing with EDUCATION. Napenda sana sana juhudi zako sporah, mungu akuzidishie. Rastafarians are very very good people. 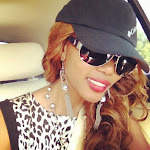 i can see the sporah show is shaping up lit by lil, soon you will be on BBC, in GOD's name. i love you very much and i hope to appear on your show one day. what it takes to ft on this show! 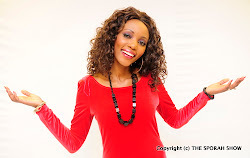 I am doing a Documentary﻿ in Ghana from February 2012 to March 2012 ! I will be posting it on my page subscribe and keep posted. It Will show all the sites from Accra to Kumasi, Rich to poor and give a view of Ghana that is not seen enough.